Home» Grief » When Can You Contact Your Dead Loved One? There are a number of theories regarding what exactly happens after death and how long you should wait before you try to connect with your dead loved one. In my personal experience, there is no standard timeframe. I once read Spirit at a fair who had passed two days prior. He came through so clear and precise with his evidence that his family members knew he was with them. During the reading, he did not share, and I did not ask him, how long he had been dead. After the reading, I was shocked when his family told me that he had died only a couple days prior to our reading. On the opposite end of the spectrum, at another fair, I struggled to read Spirit who had been dead for over 3 decades. His energy seemed scattered and for every piece of evidence I accurately read, I mistranslated another message he attempted to share. 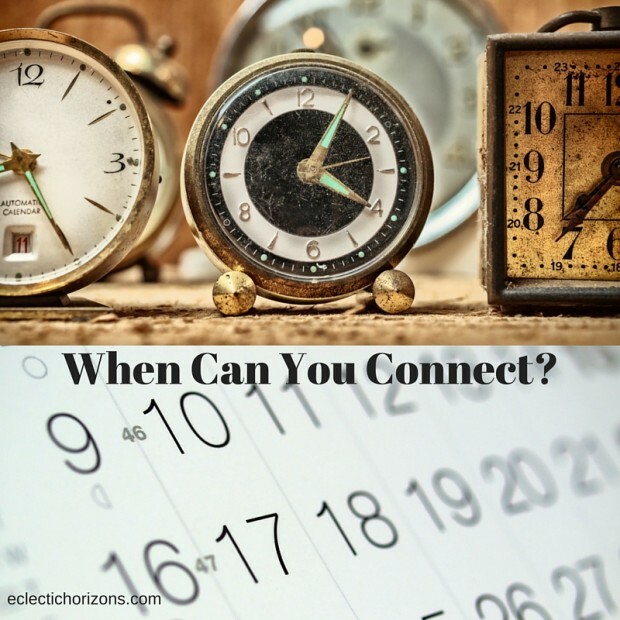 The juxtaposition of those two dramatically different timeframes and many other examples led me to think about some common denominators that might provide you with helpful guidance to determine when the time is right for you to engage a medium to contact your dead loved one. In my experience, there are factors that are common both among sitters and Spirit that are either easy or difficult to read, in relation to the elapsed time since death. In the first example, the family shared that Spirit was elderly when he passed, was ready for his transition, and his family did not feel they had any unfinished business. Although they missed him, their grief was relatively light, because they were so happy that he had transitioned to heaven. In the second example, the woman was still grieving her loved one deeply after 30 years. Her grief felt fresh to me. She hadn’t moved on. She was still filled with regret and bitterness because he had died so young. He was not a happy incarnated soul and he seemed to hold on to that anger and unhappiness, even after his death. The energy of both the sitter and Spirit was heavy and dense. As a result of these two examples, I was led to understand that the lightness of the energetic vibration of the sitter, and to a lesser degree Spirit, is an important hallmark of determining when you can try to contact your loved one through a medium. Are you still grieving your loved one to the point that you are unable to function in day-to-day life? Do you start sobbing when you think about your loved one or his name is mentioned? If you are still grieving deeply, you may want to wait a while until your grief is not so raw and at the surface. Grief is a very heavy, dense emotion. Your grief may decrease in a few days or decades—each person has their own unique way of grieving. Although less impactful than the sitter’s level of grief, I have found that sometimes death circumstances can affect how soon I am able to effectively connect with someone who has died. I have experienced confusion or intense anger from Spirit who died suddenly without warning. I have experienced fear or remorse from Spirit who committed suicide. However, not every person who dies suddenly transitions slowly and not every person who commits suicide is shy about showing up for a reading. Just as each person grieves a loved one in their own unique way, each Spirit has their own unique story and approach to working with a medium.